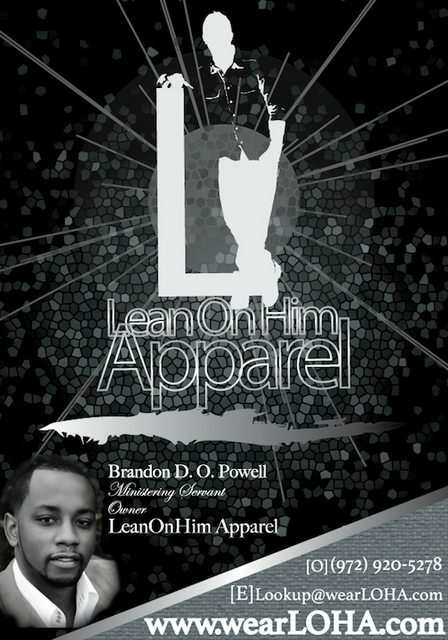 ‘Lean On Him Apparel’ picture design to be used for new location in Richardson, Texas. Dallas designer is launching a new clothing line for the expressive, casual and professional consumer. Brandon Powell of Dallas wants the opportunity to combine his creative talents and entrepreneurial spirit, producing a unique clothing line for the expressive, casual and professional consumer. He’s calling it Lean On Him Apparel and a limited run of prototypes has been very well received. Powell needs about $3,000 to get this project up and running. This money will go for equipment, inventory and garment printing as well as lease and fees for a storefront in the Dallas area. In order to generate this start-up capital, he has launched an Indiegogo campaign, which can be viewed at www.indiegogo.com/projects/opening-my-apparel-line. Powell is hoping that people around the country will support this new and creative clothing line for all ages. Donations of any amount are welcome. 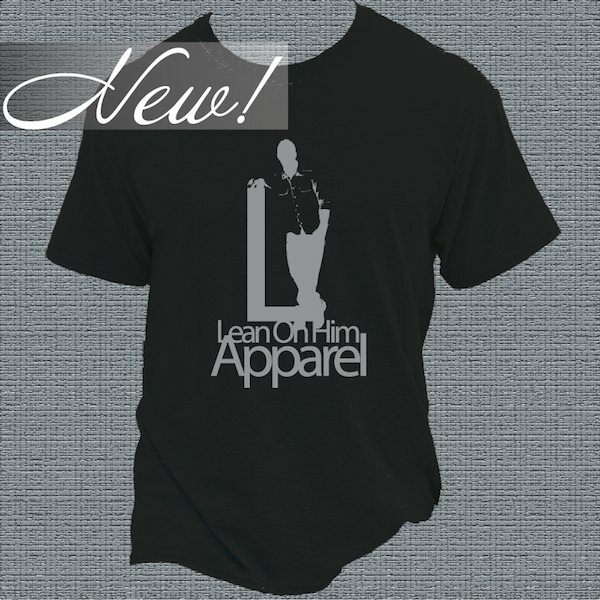 For $25, backers will receive a Lean on Him T-shirt. A $50 pledge gets you a Lean on Him polo shirt. See the website (www.wearLOHA.com) for available colors, designs and sizes. A $500 contribution is rewarded with a customized T-shirt design that can be sent to any T-shirt manufacturer.